Busy Bees at Chingford - Police Visit at Chingford! At Chingford today, the children had a very special visit from PC Michelle Cotton. Michelle came to nursery dressed in her uniform which the children were very excited about. First of all, she entered the Pre School Room (ages 3-5), Michelle greeted the children and spoke about her uniform. The children asked to wear her hat, which Michelle was more then happy for them to do. The children said "the hat is hard". They then asked to wear Michelles coat. They described the coat as being "heavy" and "hard to hold". The children got to take pictures with the PC and pose in the uniform. Michelle then spoke to the children about her job role and before leaving, the children asked about her walkie talkie, to which she responded by telling them what it is used for. Next, PC Michelle went to 2-3s room, when entering, the children all sat themselves on the mat quitely and waited for her to speak. Again, the children got a chance to try on the uniform. 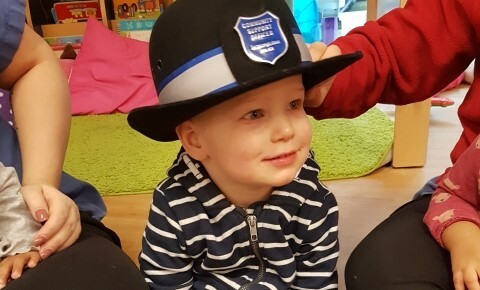 PC Michelle asked the children who wants to try on the hat, many children responded to this by putting their hand in the air. After speaking about the job role. PC Michelle left the room and went in to the Toddlers Room (1-2 years). Many children in this age group became suddenly shy and wanted comfort from the staff in the room. PC Michelle sat on the floor, to ensure she was at the childrens level and tried to comfort them as she spoke. 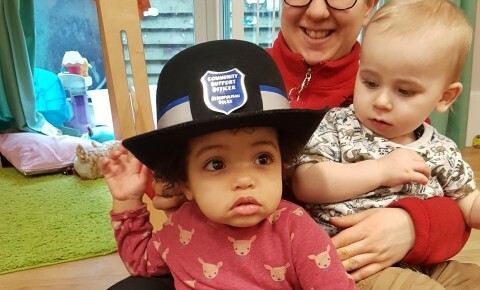 She took off her hat and passed it around the room, some children were very happy to wear the hat whereas others were slightly withdrawn. PC Michelle waved goodbye to the children and left the room. In the afternoon, all age groups made police badges! They coloured in and decorated their badges whilst discussing police duties and how they help us. Leading on from this, many children in the older age group begun role playing with their badge and dressing up as police using dress up clothes from the home corner. 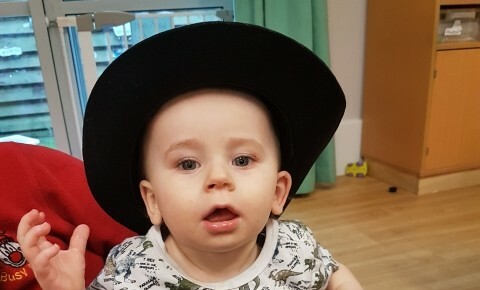 The Toddlers also enjoyed dressing up as different occupations and the staff members made sure they spoke about people who help us and got the children engaged in the activity.